My Watermelon Moon: Growing up too fast! When I saw these pictures that the Mr. took of my baby girl I knew right away these needed to be scrapped. Seeing her look so grown up (she's 12 people, 12!) just pulled at my heart strings. I see here every day, I KNOW logically she's growing up. But I'm just not ready for it. Like, not even a little bit. Time is moving way too fast. I would like to wield some control over the situation, but I lack the skills to build such a machine.... Sigh. This beautiful girl keeps me motivated to do better than my best everyday. 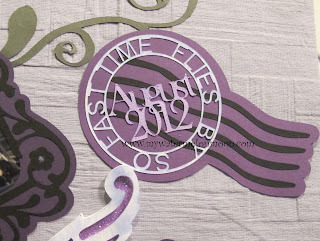 To make this layout, first I selected some pretty handmade paper I have in my stash. Basically, it determined my color palette. 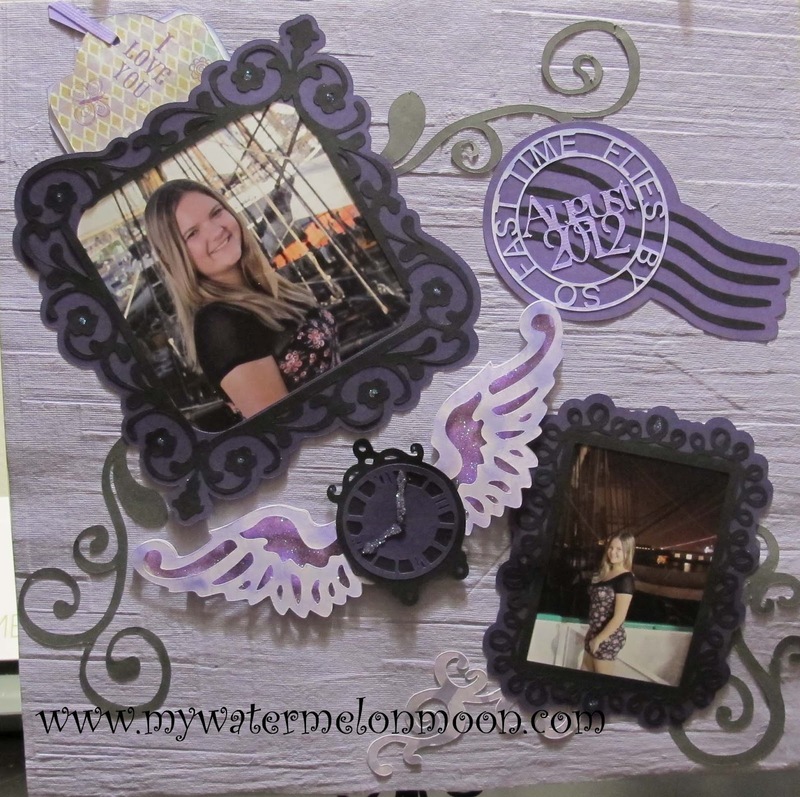 As soon as I saw the pictures I knew that I wanted to give a nod to time flying, and I wanted to use the beautiful clock and the wings on the Close to my Heart Artiste cartridge. Here is the entire project a little closer up. I put a journaling tag up in the top corner behind the large picture. I figured she wouldn't want mom mushy stuff for just anyone to read! Well, I hope you like the layout. I'd love to hear your thoughts, so PLEASE leave me a comment! I know EXACTLY how you feel, as my "baby" is 16! Sigh. Where does the time go? Beautiful layout, Melissa. I love the banner on the header of your blog! 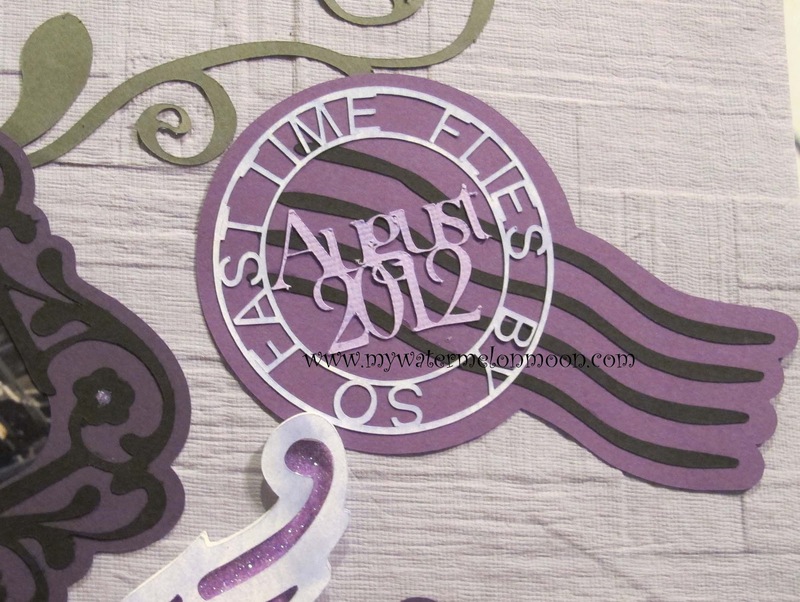 I love the scrapbook theme and think it is a really great idea. I am a mother of two and sometimes wish there were a little older... and then I think NO. They really do grow up fast and I really am enjoying all the time spent together. Would not trade it for the world. I am following you now and would love for you to follow back. Oh it goes way too fast! Never wish a day away. Enjoy it all! It is crazy how quickly kids grow up and how fast we all grow old. Quite honestly, it terrifies me! Where did the time go! 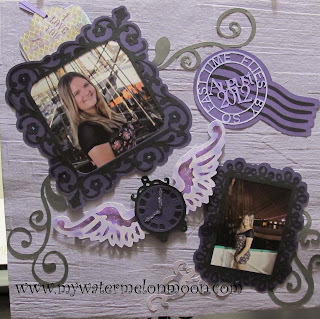 Love your scrapbooking page- makes me think I need to get more into it again. I definitely do it in waves! Just found your blog and have loved getting to know you better... I'm excited to follow along! That's so nice!! Love the colors and your daughter is so pretty!!! Beautiful LO as is your daughter. 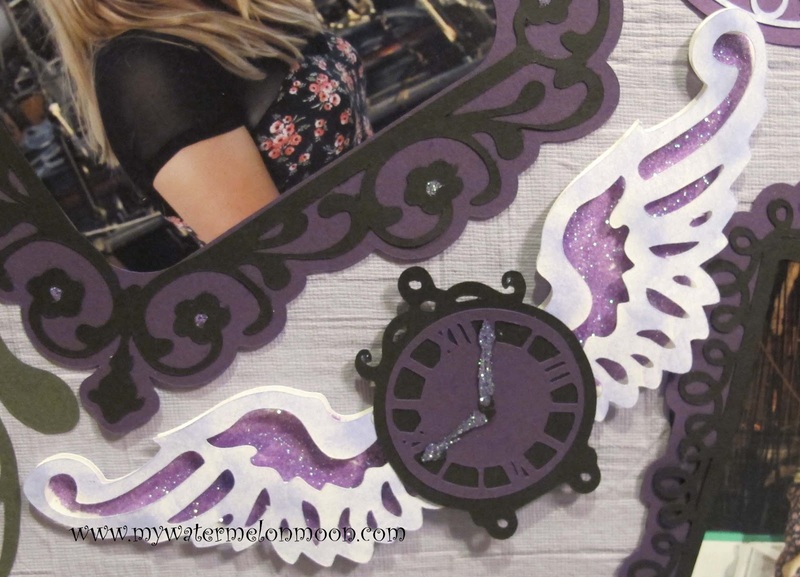 Great details, love the clock with the wings..
Wow! Great LO and I absolutely love the title! Love it! What a great way to save good memories. Thanks for sharing this with us at the All Star Block Party. Thank you Shasta and thanks for stopping by! This is so cute & unique! I think I found what I'm giving my parents for Christmas! My mon loves leaving pictures of my brother & I laying around the house. I hope you have a great weekend. Please stop by to say hi? Yes Nikki! Mom's do love pics of their babies, always. I totally stopped by,and I'm your newest follower. Beautiful blog BTW. Adorable!!! Thanks for linking up at Keep Calm and Link Up! Love this! 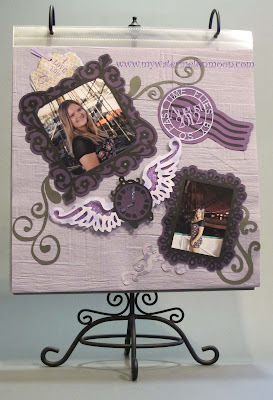 Thanks for linking up to the CHQ blog hop! Hope to see you back next week! What a beautiful layout! Thanks so much for sharing at Mom On Timeout!